Our American made three inch PVS-RS3-2 rodent vent screen set includes a pair of high quality vent screens to shield high efficiency appliance intake and exhaust vents from intrusion by animals. 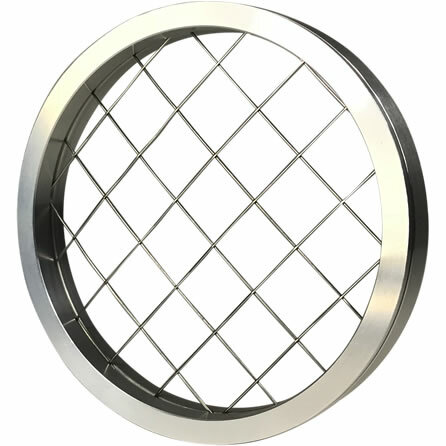 With a 90% airflow rate, these vent screens are used and recommended by professional HVAC technicians and plumbers who routinely install residential and commercial horizontally vented appliances. 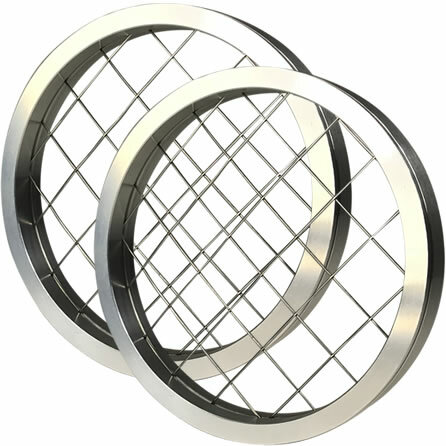 Fitment: The vent screens in the PVS-RS3-2 set are designed to install inside any standard 3″ PVC vent termination hub or coupling with an inside diameter of 3-1/2″. Our PVS-RS3-2 rodent vent screen set is ideal for those who need to protect high efficiency appliance intake and exhaust vents from rodents and debris. Included in this discounted set is a pair of 3″ PVS-RS3 rodent vent screens, two internal wire clips to secure them firmly in place and detailed installation instructions. Each PVS-RS3 is manufactured to the highest of standards using only the best American sourced materials. Each screen consists of a durable 2×2 welded 316 stainless steel wire that is encased in a 6061-T6 lightweight aluminum shell. 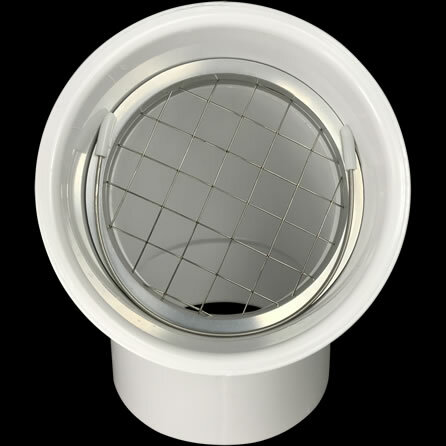 Being a narrow vent screen, it will precisely fit right within a three inch PVC pipe elbow/hub and is secured in place with included 304 stainless steel internal wire clips. Unlike covers or guards, the PVS-RS3 is not an eyesore and will not diminish the exterior beauty of any home or business. The PVS-RS3-2 is specifically designed for use with condensing furnaces, power vent hot water heaters and high efficiency boilers. The strong stainless steel welded wire screen is durable and will not significantly restrict airflow. In fact, many HVAC technicians are using these vent screens to safeguard intake and exhaust vents for Carrier, Rheem, Trane and other leading furnaces. The 90% airflow capacity of each PVS-RS3 makes it the most compatible and professionally recommended non-destructive vent guard available. Since the PVS-RS3 maintains a high rate of airflow, its design makes it ideal for rodent protection during all weather conditions. Even during heavy snow and frigid cold temperatures, where other screens, caps or guards may exhibit icing problems that can contribute to undesirable furnace lockouts, each PVS-RS3 simultaneously maintains maximum airflow and rodent protection. If needed, please visit our screen size page for visual assistance in measuring vent screen terminations for proper vent screen fitment.